After the little tease of REQs we got in the preview last week we now have the full picture without any smudges or ONI logo's. And I've got to say, it was surprising. Turns out all the speculation surrounding the Legendary weapon was true. Jorge's HMG is making its return to Halo! If you get your hands on it you'll find that you walk a lil' faster and can take more of a punch. Also, your bullets explode in impact. I don't remeber it doing that in Reach but... I'll take it. 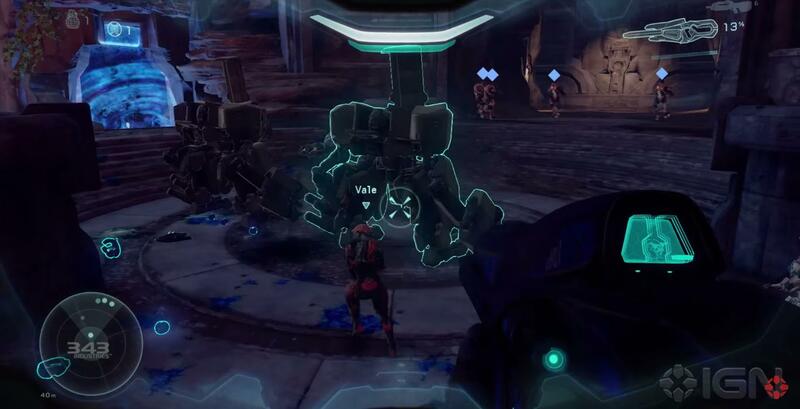 The REQ with the mysterious ONI symbol plastered over it turned out to be a Pheaton variant. We were all hoping for the Falcon, but maybe this Pheaton won't explode from peashooter fire. Next we have all of the (predicted) Noble team armors. Keep in mind that they're not supposed to be exactly like the armors you saw in Reach (e.g "Emile's" knife is not on the shoulder armor). Wanted to clarify this since I've seen people literally going crazy over this. We also get a little armor mod that's going to help you be the designated driver. Finally we have the weapon attatchment of which I'm still not sure what they do exactly. I believe Fishy said on my last post that it was a marker/spotter of sorts. 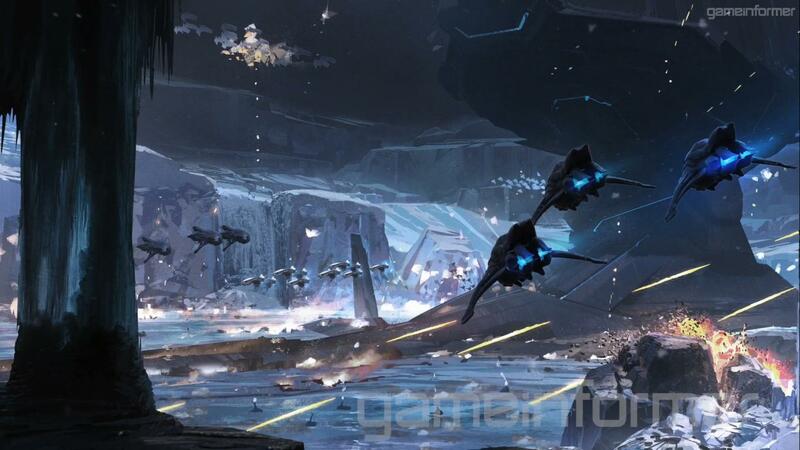 Don't forget to leave your thoughts on Waypoint when it drops so 343i knows right from wrong! Additionally we get an explaination and criteria for the Infection medals we were shown in the preview. Zombie Hunter - "Kill 5 Zombies without dying"
Zombie Slayer - "Kill 10 Zombies without dying"
Hell’s Janitor - "Kill 15 Zombies without dying"
Hell Jumper - "Kill 20 Zombies without dying"
Zombicide - "Kill 25 Zombies without dying"
The Cure - "Kill 30 Zombies without dying"
Infector - "Infect 2 Survivors without dying"
Carrier - "Infect 3 Survivors without dying"
Ravager - "Infect 4 Survivors without dying"
Plague Bearer - "Infect 5 Survivors without dying"
Lord of the Flies - "Infect 6 Survivors without dying"
Last Man Standing - "Be the last man standing in a game of Infection"
Infected - "Infect a survivor"
Ancient One - "Survive an entire round as a Zombie and convert at least one Survivor"
Survived - "Live through the Zombie Apocolypse"
Resourceful - "Kill a Zombie when all of your weapons are empty"
Flatline - "Kill the last man standing in a game of Infection"
Finally we get some additional tweaks for the Halo 5 sandbox in a little message from the Halo 5 multiplayer team. 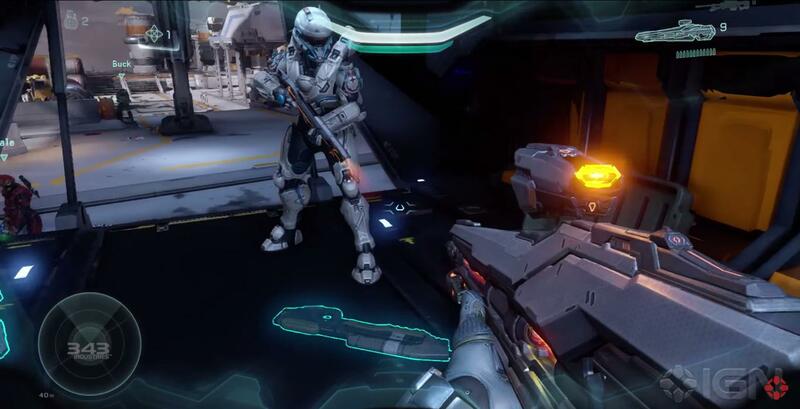 For Memories of Reach, we’ve fixed a bug where Spartan Charge would not properly target enemies at the edges of a red reticle on the horizontal plane (you can still get red reticle and miss vertically). Fear not, though – players who skillfully evade a Spartan-Charging player with Thrust will still escape without taking damage. Additionally, Spartan Charge with Speed Boost will no longer be a one-hit kill, and Spartan Charge with the Gravity Hammer will no longer be a one-hit kill. The last item is a slight increase to movement speed while crouching. This has been increased to allow for crouching to be a more viable choice for players to flank and attack. The speed isn’t drastic, but after months of testing we’ve found it to be the sweet spot. So, this is what you can expect when the update drops. Leave your thoughts and comments down below! It has been known for quite some time now that the Memories of Reach update would deliver Infection. With this months preview we get some more information on it. As of this moment 343i is working on creating, selecting and playtesting both self created and community made maps. 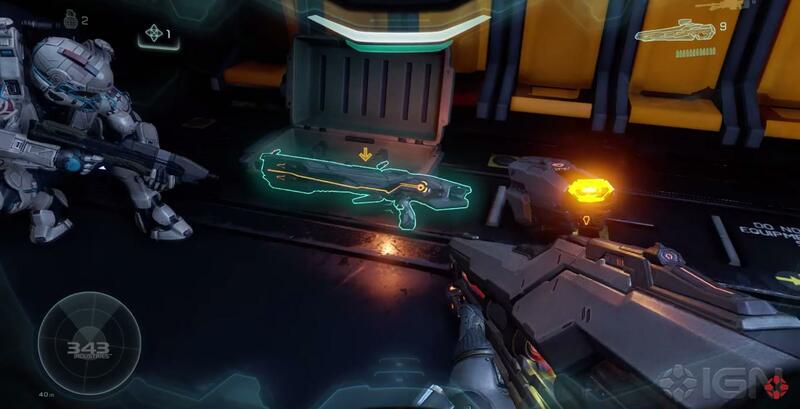 The most interesting part lies in the Forge department as a load of items have been added to the Forge pallet to create the best Infection maps. We're speaking of damaged walls and structures, dead bodies (both human and covenant) and all sorts of indications of mayhem here. As with every content update, we also get another load of REQs. And also as always, some of them are blurred out. What's interesting is that this time one of the legendary REQs hasn't just been blurred, it has been completely blacked out and has an ONI symbol on it. As you can see the Weapons skins that were earlier available in the Spartan REQ pack are now available in regular REQs (aside from de 343i skins). 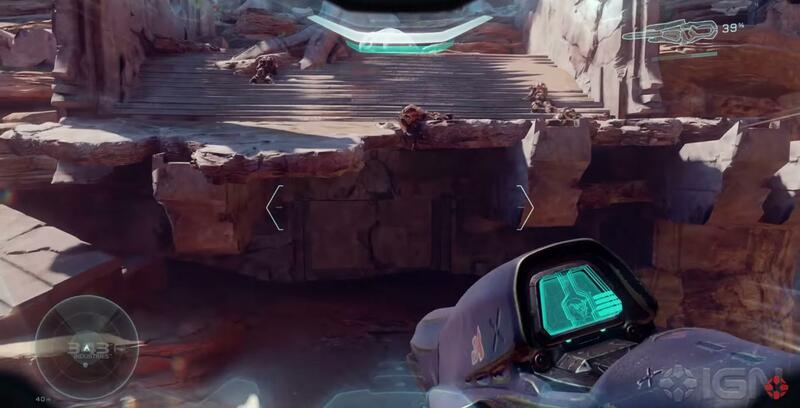 The Brute Plasma Rifle also makes its return to Halo! Speculation on the blurred REQs has already gone wild across other media. Rumor has it that the blacked out 'ONI' REQ is the Falcon, but I'm still hoping for the legendary Reach Forklift. Wouldn't that be something? In any case the Mythic blurred weapon appears to be Jorge's HMG. A thought that is supported by the fact that the Legendary stance appears to be your Spartan holding something rather big and heavy. The blurred assassination leaves everything to your imagination. I for one have no idea what it will look like. The blurred weapon at the bottom appears to be the DMR with the same attatchment as all other loadout weapons shown on the list. Which got me thinking... why blur it when you can clearly see it's the DMR with the same attatchment as all other weapons shown? In any case post your own thoughts on the blurred REQs down below! That's all for this update preview. Don't forget to leave your thoughts and speculations down below! In the video provided by ReadyUpLive above you can see all the goodness mentioned if you pay close attention. Infection was the obvious headliner in this but did you notice they were playing on a remix of Torque? Kat's Mk. V [GEN 1] Air Assault variant with her signature Command Network Module-Improved and Up Armor plate attachments (UNOFFICIAL DESIGNATION). And of course, Emile's Mk. V [GEN 1] EVA with scratched skull and Kukri knife while infected. What do you guys think? If we're getting these all in next update then it should be the biggest to date. Memories of Reach's teaser stole the show yesterday after the live stream of the Ghosts of Meridian update launching TODAY. Leave thoughts on what you want to see next month! Huge thanks to HTA for providing screenshots. 343i is already holding true to their word of post launch commitment with an update barely a month after release. The new update called 'Battle of Shadow and Light' will deliver us more REQs including, but not limited to, the new 'Shinobi' armor, the 'Dying Star' Lightrifle and Tundra and Woodland themed Mongoos... vehicles. "And now I will make this knife... Disappear!... Tadaa!" But the biggest bombshell is that with this update we finally get BTB. The 8v8 vehicular onslaught will feature four new Big Team Battle canvases available in multiplayer and custom games. 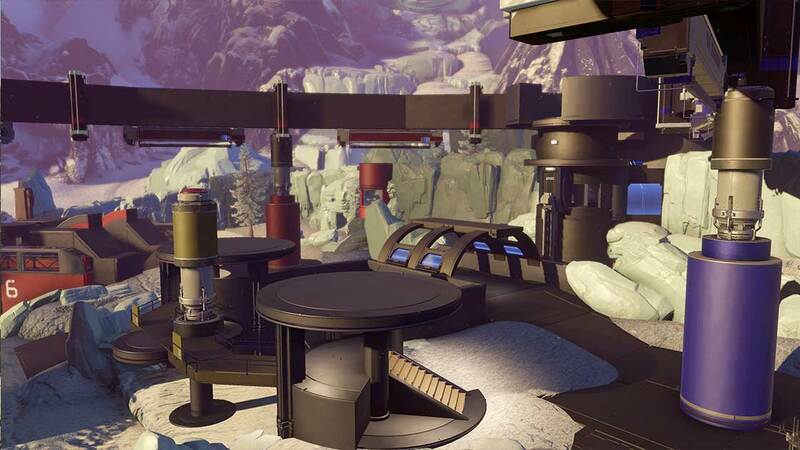 They are inspired by some of the classic Halo maps so you might recognize some apects in Deadlock, Basin, Guillotine, and Recurve. Stolen Forerunner knowledge has made war a glassy plain of death on which few can find purchase. Shake the dust from your feet. By day, a deadly urban battleground. By night, a playground for the reckless. The wide arms of this training site embrace every instrument of destruction. Please note that these are preview images and might not be final. What are your thoughts on these news maps and REQs? As you may have noticed, Halo 5 has had an update. Not only is the weekly playlist, shotty snipers, available for the weekend but we also get some updates to the playlists and game itself. Additional matchmaking fixes include the removal of the "One or more members in your Fireteam has a high latency to the dedicated server" error and expanded parameters for the Warzone matchmaking system which allows international players to find matches quicker and easier. 343i is still working on the last fix and has let us know that they did see improvement in Warzone search times but need some more time to check if it doesn't interfere with anything else, so they've pulled the changes for a bit untill they're sure no other problems are caused. 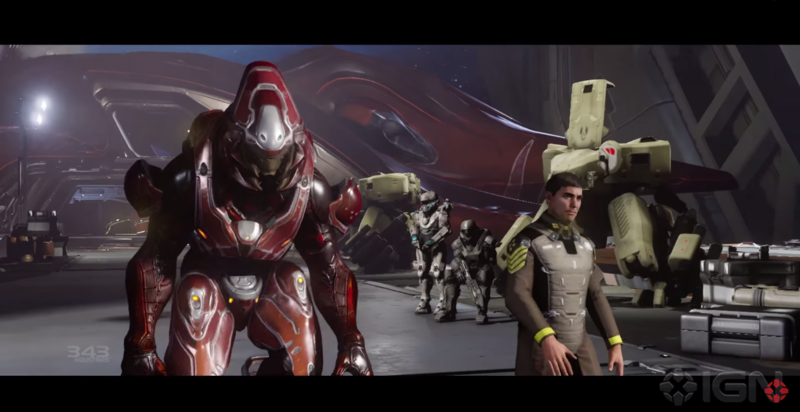 "Hey everyone – Chris King (Halo 5 - Lead Sandbox Designer) and Scott Sims (Halo 5 – Lead Sandbox Engineer) here. Thank you all for your passionate feedback on Halo 5, the team has been actively following as much as we can and have identified one issue we really wanted to respond to. First things first, in the grand scheme of things, this is happening to a small number of people. Most folks are having a good experience and the last thing we want to do is inject either placebo effect or confirmation bias into your gameplay feel, so bear that in mind if you’re having no issues, and just enjoy the dry but interesting technical data. But this is good news for those who are suffering. 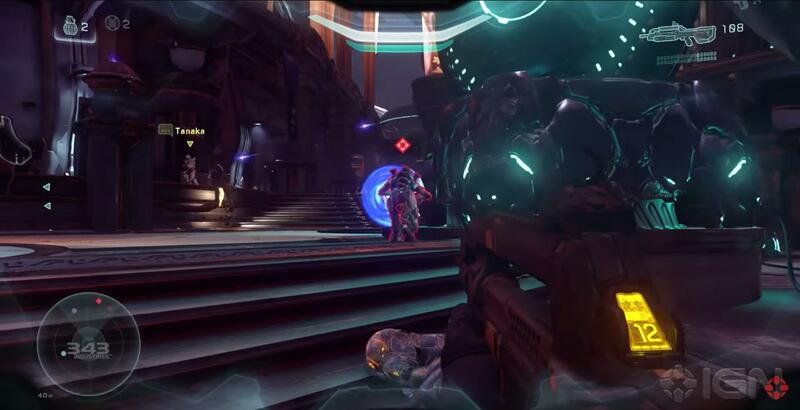 Aiming is the core of any first person shooter experience, and the way Halo controls is key to making Halo, Halo. 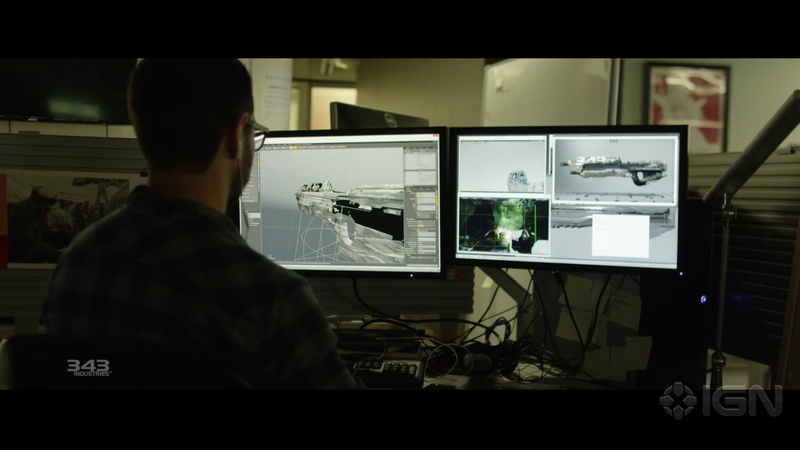 Weapon aiming is a complex subject and something that the sandbox team obsesses over every day. There are a huge number of factors that feed into the feel of aiming, be it controller hardware, acceleration curves, turn speeds, player movement speeds, aim assist, or weapon fire rates. When we started development on Halo 5 we had some very specific goals with regards to aiming. We wanted to provide a best in class 60fps shooter experience, embracing competitive play, with an increased skill gap, while still retaining the essence of Halo. To preserve that Halo feel we chose not to re-write any of our base control systems, but instead to perform targeted retunes to balance for the higher framerate and myriad of other changes made to our movement and weapon systems. Throughout the project we have worked hand in hand with the 343 Pro team, Microsoft User Research, and test teams and of course absorbed the awesome feedback from the Halo 5 Beta to tune and validate our control systems to what we believe to be the sweet spot for fine control with fast turn speed across all aiming ranges, on all weapon types. Players have identified that, by design, the game is a shade “harder” than it used to be, but we are seeing players adjusting to the new speed and precision pretty quickly. Unfortunately, some players have identified an issue that occurs due to variance in controller hardware, commonly referred to as “slow turn” bug. This can cause players to become unable to, or inconsistently reach what we call a “pegged” state. The “pegged” state is a region in the outermost range of the analog aim stick in which we blend the players turn speed to a much faster rate. This issue is compounded as the control input fluctuates depending on multiple factors - if you are applying even the slightest bit of downward pressure (clenching), moving the stick around the edges a bit (which is why it’s even more problematic when aiming diagonally), or torqueing the stick on the edge a bit more than normal on some controllers. One thing that has become clear in absorbing all your feedback is that Halo players want choice when it comes to controls. And with that in mind, we are also working on another little pet project that will allow even more precise tuning. This update will offer more custom fine-tuned control over controller settings (hint: independent vertical/horizontal sensitivities, the ability to calibrate your own dead zones, more granularity in sensitivity, and more). We hope to have that out for you in December and we will follow up with more details later. Thanks for all the passionate feedback, know that the team is reading as much as we can. See you on the battlefield." What are your thoughts on the changes and plans, and do you have any suggestions for changes yourself? Commendations are returing as a reward system for achieving certain feats. Each commendation has 5 tiers and every achieved tier earns you an EXP bonus. Completing each 3rd tier of a commendation will reward you with a bonus REQ pack containing boosts and other single use REQs. Completeing the 5th tier of a commendation will get you a REQ pack containing a specific emblem to show off your achievement. Medals are also returning as expected and have suffered a few losses, but gained alot. Bravo interviewed multiplayer designer Max Grossman on the new medal design. "When we look at creating a new Medal, we have to make sure it satisfies a few rules. A Medal needs to be an explicit action that a player can perform; rather than something that can “just happen.” Players should have a clear idea of what it is that they did to earn the Medal. For example, we removed the Reload This Medal because it didn’t satisfy this criterion. Second, a Medal needs to promote good behavior and should never reinforce a negative action. You won’t see the Comeback Kill Medal in Halo 5 because it reminded players that they had died 3 times in a row without getting a kill. When a player is playing poorly, they already know; they don’t need the reminder. Lastly, a Medal has to have akiller name. “Bulltrue.” “Overkill.” “Reversal.” I always like to imagine Jeff Steitzer’s (the infamous multiplayer Announcer) voice in my head whenever trying to come up with Medal names. For as many new Medals that appear in Halo 5, there are just as many that we tinkered with during development that didn’t make the cut." Assist in a kill by dealing ground pound damage that is killed by another player's ground pound. 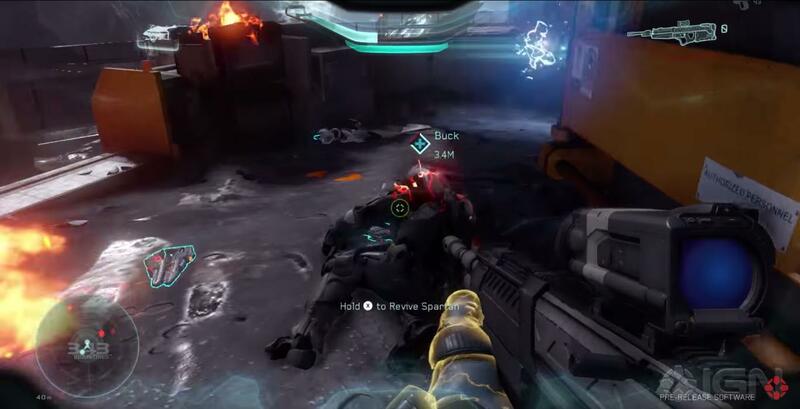 Assist in a kill by erasing an enemy player's shields with a Charged Plasma Pistol shot. Kill an enemy with a single headshot with the pistol after damaging them with your primary weapon. Kill an enemy with a sniper headshot. Win a Slayer game without dying and with at least 15 kills. Capture three bases without dying. Erase an enemy team's capture progress from a controlled Stronghold. Eliminate every opponent on the enemy team in a round. Score a kill in the last 10 seconds of a round. Score a kill with a Gun, a Melee, and a Grenade in a single round. As the Flag Carrier, kill the enemy Flag Carrier. Kill the enemy Flag Carrier. Defend your flag from an enemy. We also got a little sneak peak at some of the medal designs. What are your thoughts on the commendations and medals? The Competetive Skill Ranking, or CSR for short, is your rank within the Arena experience and determines who you'll be pitched against. If everything goes right that should be opponents within your skill range and this ensures you that you and your team won't be annihilated by higher levels and that you won't stomp on lower levels. Just like we saw in the beta you'll have to complete 10 placement matches that determine what rank you'll start off as. Since the beta there have been a couple additions to the ranking though. Below you'll find all the ranks through which you can progress (or drop). The ranks Bronze through Diamond are pretty straight forward. Win a couple of matches and you'll progress in ranks. Notice that I said 'win matches' and not 'be on the top of the leaderboard' as being the top player on your team doesn't mean a thing to your CSR, only winning does. There is the chance that you'll drop a rank after losing too many matches but we are assured that you won't drop an entire rank by going on a bit of a losing spree. For example, if you've been working towards that Silver rank for who knows how long you won't be dropped back down to Bronze just because you weren't having a good day. The Onyx and Chapion ranks behave in a different way. Once you reach Onyx, your CSR score will be shown to allow better comparison between players. Winning no longer increases your tier, your CSR score does. Once you reach the top 200 within a playlist you'll be placed in the highest tier, the Champion tier. All shall quiver before thee! 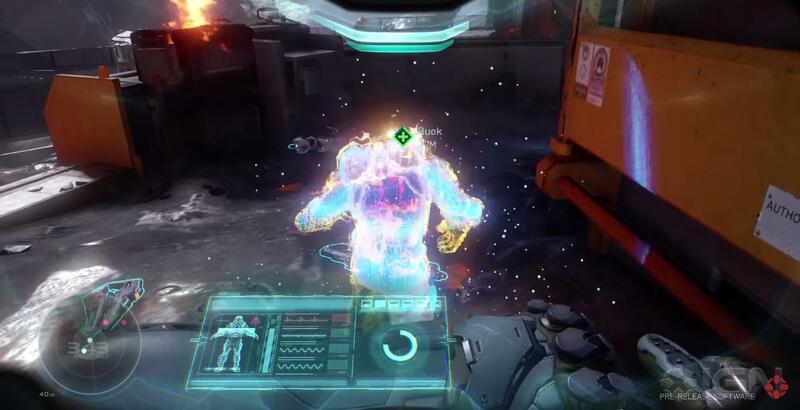 Later in Halo 5's lifespan seasons will be introduced. It looks somewhat like the seasons we had back in the Halo Reach days. When a season starts your CSR will be reset and you'll have to play your placement matches again to be ranked. This allows you jump start your ranking and prevents you from being stuck in an what seems to be endless progression through the rankings. Of course, you can also fall a bit short but do not fret as there is always next season. Each time a season ends 343i will update the game based on your feedback. So don't stop complaining! Join in progress is disabled in Arena to prevent you from being placed in losing games and losing a rank as a result from that. Quitting is frowned upon and if you decide to be a bum you'll not only suffer a loss and forfeit any EXP or REQ points earned that match, you'll also recieve a temporary ban to think about what you just did. Betrayals, idling, intentional suicides and excessive disconnects will also earn you a ban of which the length is determined by how heavy the offense is. Each successive infraction will increase the timeout exponantially so don't you even think about it Spartan! What are your thoughts on this ranking system? With the release date coming ever so close, 343i decided to let us see the achievements that will be available to us on the 27th. They showed this in a recent blog. I must warm you for potential spoilers as some of the achievements concern the campaign. In my opinion they're not that spoiler heavy, but be warned that they could reveal something. Click at your own descretion! These are all of the achievements available at launch and are, as usual, collectively worth 1000 gamerscore. We can expect more achievements to be added with each (free) DLC. If you have decided to view the list, what are your thoughts on these achievements and which ones are you going the extra mile for? In less than 2 weeks we can finally wrap our hands around Halo 5 but today we get to know what we'll be able to play online the moment we start playing. In a blog 343i has listed what playlists will be available at launch and what maps and gametypes we'll be playing with. 24 players on massive maps with REQs and AI adversaries. Halo multiplayer has never been bigger. 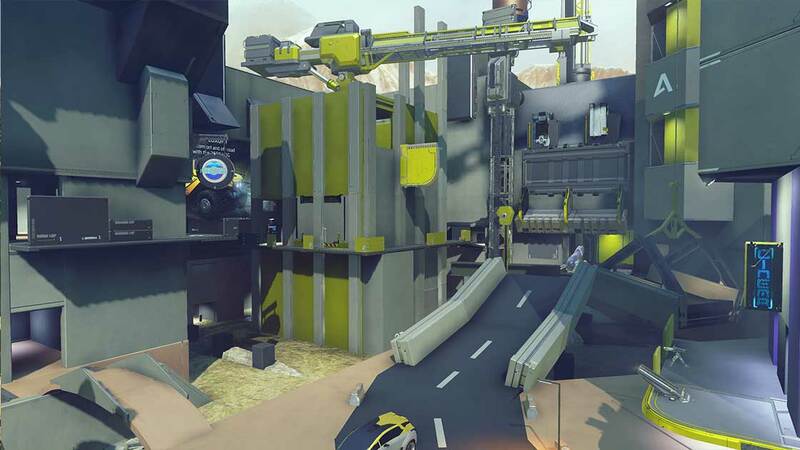 Destroy the Power Core or defend it in this asymmetrical Warzone mode variant. 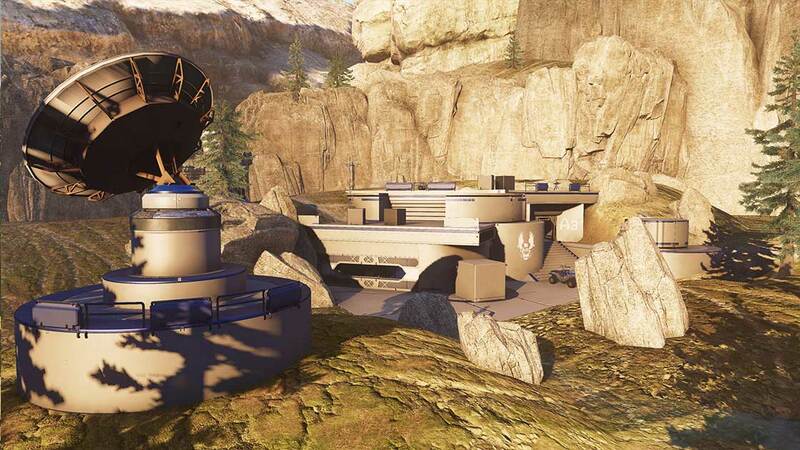 Play on the very best modes and maps Halo 5 has to offer. Work with a team, vanquish your opponents. 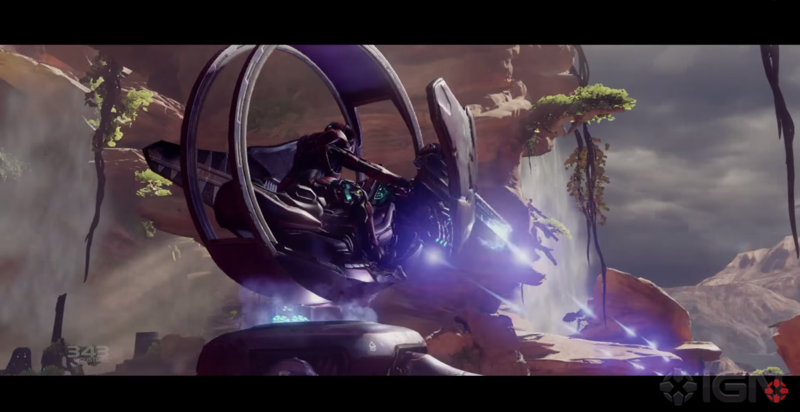 Halo 5's premiere high lethality single-life elimination mode. It’s you against everyone else. Slay your way to victory. No shields, no motion tracker. Aim for the head! A weekly playlist that features a mode voted on by the community via Halo Waypoint/Channel. Features maps and modes selected by the community. Earns double EXP and REQ points. Popular maps and modes have the potential to become permanent if popular enough. Keep in mind that this list contains the launch playlists. More playlists will be added later on! What do you think of these playlists and which playlist would you like to see added later on? Halo 5 REQ System Explained Further! 343 Industries has cleared up a few things about the REQ system in Halo 5: Guardians, as well as shown a few pictures of new REQ Armours, Assassinations, and more! It has been clear over the past few months that the REQ system plays a large part in the gameplay of Halo 5: Guardians, but some people were still very confused by the concept, so 343 decided to clear a few things up. A HaloWaypoint.com blog post showed off the two classes of REQ, which are Permenant and Single-Use. Permanent REQs are as the name says, permanent, and single-use REQs are once-per-game. 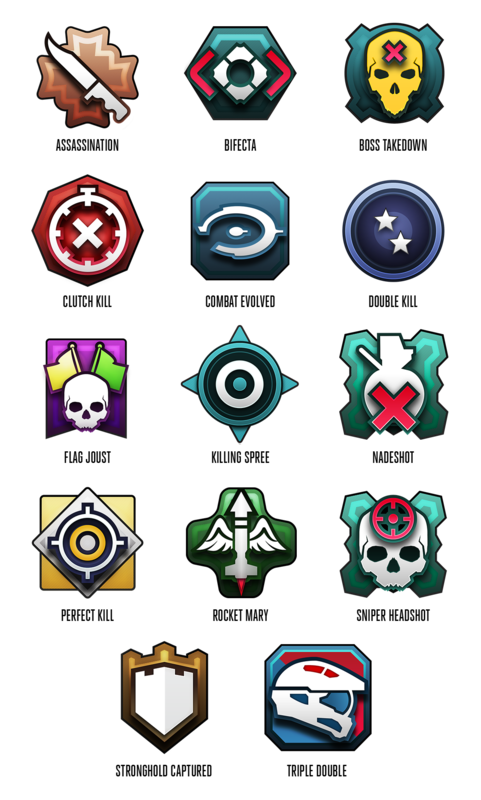 All of these can be earned through REQ points after Arena and Warzone matches. REQ packs can be bought with real world money as well, but that is an optional feature. Items are grouped into five categories from rarest to least rare, as an example, Linda's sniper is a high tier weapon, and the SMG is a lower tier weapon. The three possible REQ packs come in three categories from most rewarding to least, and in different prices. You also get REQs from commendations and Spartan Rank-ups. Each week 343i will tease some new REQ cards in these blogs. If that isn't enough, they released a comedic video where Mister Chief (voiced by Nick Offerman) explains the system in a comedic manner, on YouTube.com. 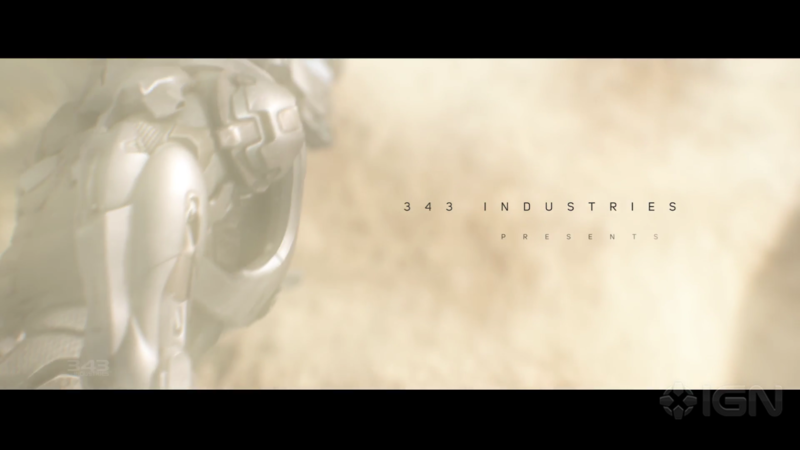 Images and information sourced from 343 Industries and the Xbox YouTube. 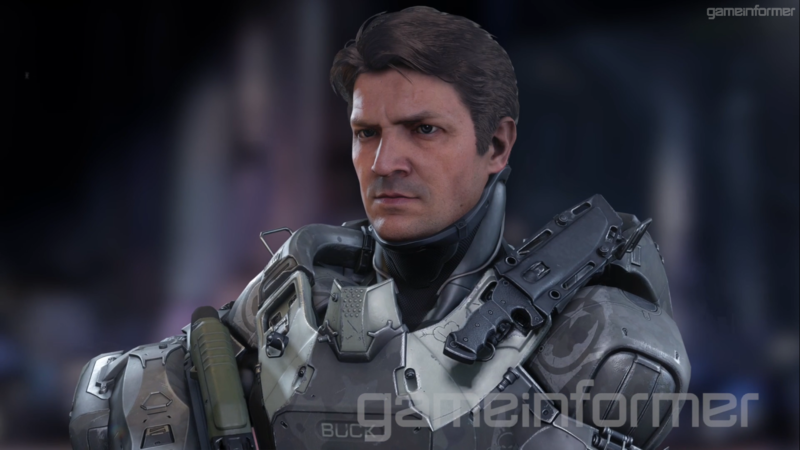 In the cinema first look we get a glimpse of the thought process behind Halo 5. How did the things that are now come to be? Those are some awesome visuals. They did cut out a few frames that leaked a while back though. I won't go into detail since you know... spoilers, but you might know what I'm talking about. Did I forget to mention the visuals??? What are your thoughts on the visua... I mean video's? Just like last time with Halo 4 we'll be able to get a console bundle. It will contain a limited edition 1TB console that has a cool Halo 5 theme and custom sounds for starting up, shutting down and ejecting/inserting the disc. It will also come, just like the Halo 4 bundle, with a Halo 5 themed controller. This time it's only 1 controller though. What's different from last time is that the console bundle will now include the Halo 5: Guardians Limited edition package so the true collectors won't miss out on most of the collectables. As an added bonus you'll also get acces to the FOTUS armor from the get go and have an exclusive FOTUS emblem to show off. Take a look at the 3D model yourself here. The bundle will cost $499. If you already have a console and are happy with the way it is you can always think about getting one of the two Limited edition controllers. Or get both! The first one is the Spartan Locke controller and is the one you'll get with the console bundle. It will also come with the Resolute visor acces from day one. This controller will cost you $69,99. The second controller is the Master Chief controller. This controller will include day one acces to the Dauntless visor and will also cost $69,99. Let me assure you that as of now all of the DLC content you get with these items except for the FOTUS emblem have been confirmed to be available to everyone through the REQ pack system. These acces codes, just like the pre order codes, only assure you of day one acces! Will you be getting any of these items? Of course Halo and Xbox can't be left out of the worlds biggest gaming show in Germany. This year at Gamescom we'll get new looks into games that are coming from Xbox and one of the very first, if not the very first, Halo 5 tournament(s). The tournament will be played on two maps by four invited teams (Epsilon Esports, Supremacy, CAZ.Esports and Optic Gaming). The first map is Empire that was featured in the beta and the second map will be the underwater map Fantom which was recently revealed. We'll be introduced to the new Fantom map and Empire (which has been altered since the beta) before the tournament start to get familiar. The tournament will be casted by Bravo and Richard Simms. 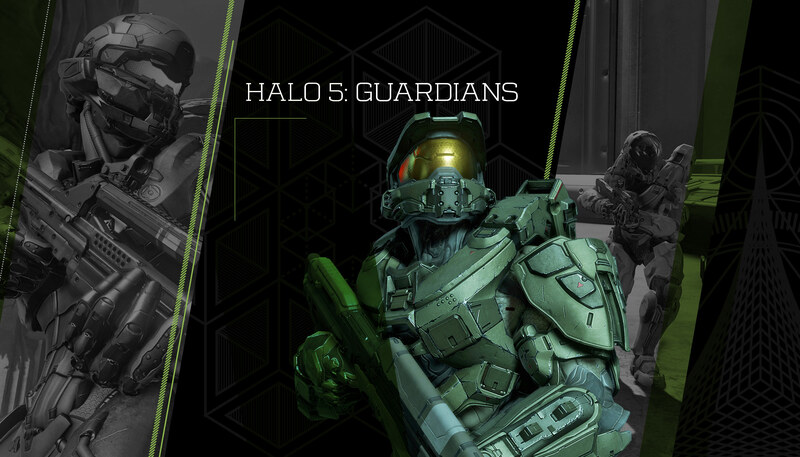 Along with this news we get the announcement of the Halo 5: Guardians strategy guide. The strategy guide will come in 3 versions and will release along with the game. The third version will be the Collectors edition guide. This version will feature everything in the Standard edition + bonus in-game DLC*. This edition will cost $34,99. Will you be up to watch the streams? And will you get your hands on of the Strategy guides? You can watch the whole thing here (or view the embedded version below). The ViDoc weaves through a myriad of ideas, backstory, and behind the scenes footage while numerous 343 Industries employees have concurrent "mini interviews". I have compiled an extensive album of around 103 images from the ViDoc here. Though it certainly is not all of the obtainable screenshots. Finally, the ViDoc itself can be viewed below if you declined to click the IGN link at the beginning of this article. 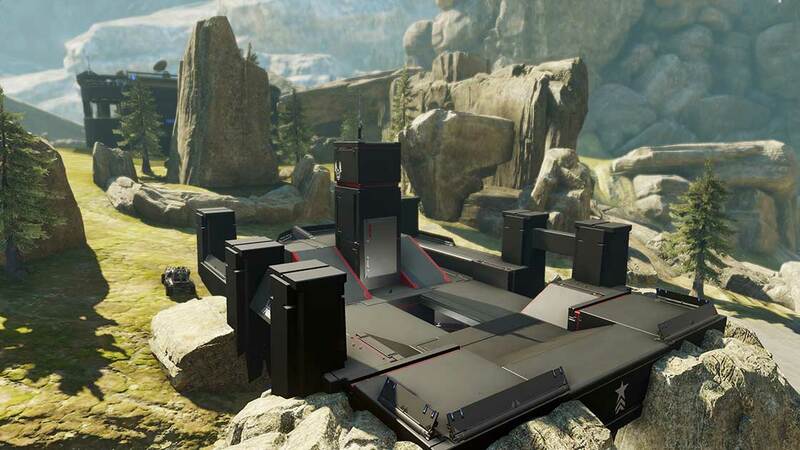 On the first day of Comic Con Microsoft came out swinging by announcing one of the maps that will be featured In Halo 5's Warzone gamemode. The announcement wasn't just any old announcement with a few concept art pictures and a name, no. They announced it by showing off a 89.500 blocks large, half a ton weighing Lego replica of the map. 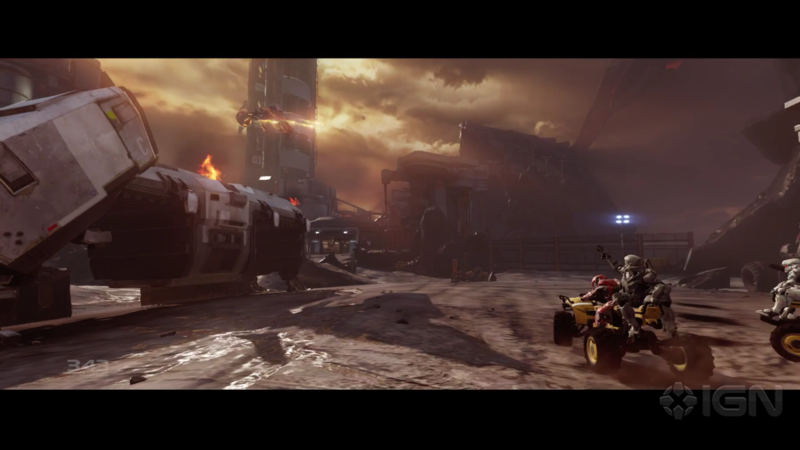 The map will be called 'Raid on Apex 7' and is already bigger than the map 'Escape from A.R.C' which was shown at E3. 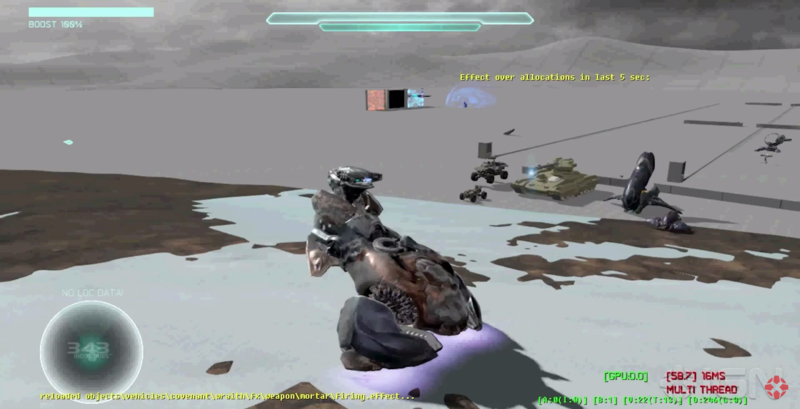 The style of the map was inspired by the level The Silent Cartographer in Halo CE. Mysterious island? Check. Large middle structure? Check. Getting lost? Probably. 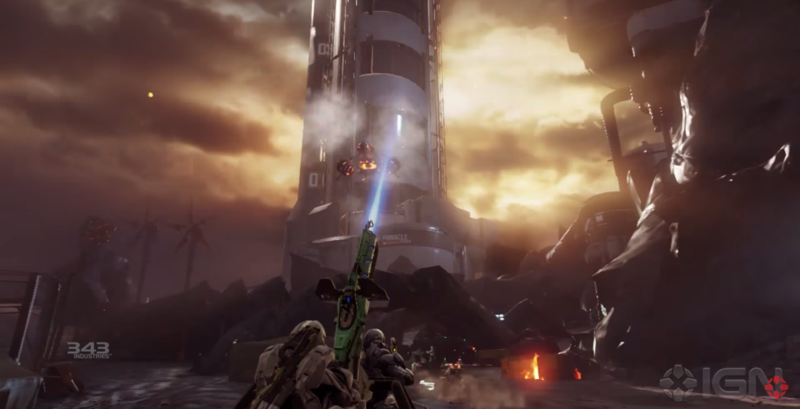 "Clearing out the initial Covenant threats and controlling the Forerunner Spire in the center of the island is paramount to a team's success and provides a central base of operations. If your team loses the Spire, don’t despair; players can use a system of caves or taketo the beach to flank the base. Beware of the Covenant though, for they will not let you take this islandso easily. They will counterattack and fight to retake their territory. Continue the push for control of the island and take out the opposition's core… before you awaken something much worse." The map appears to play out similair to the Escape from A.R.C map. First you'll drop in with a Pelican and will have to clear your base of AI enemies to be able to proceed. After that you'll have to option to either go for the central base and or bosses to score points or choose to go for the enemy base and destroy their core. What do you think of the map? And what might we awake on it? 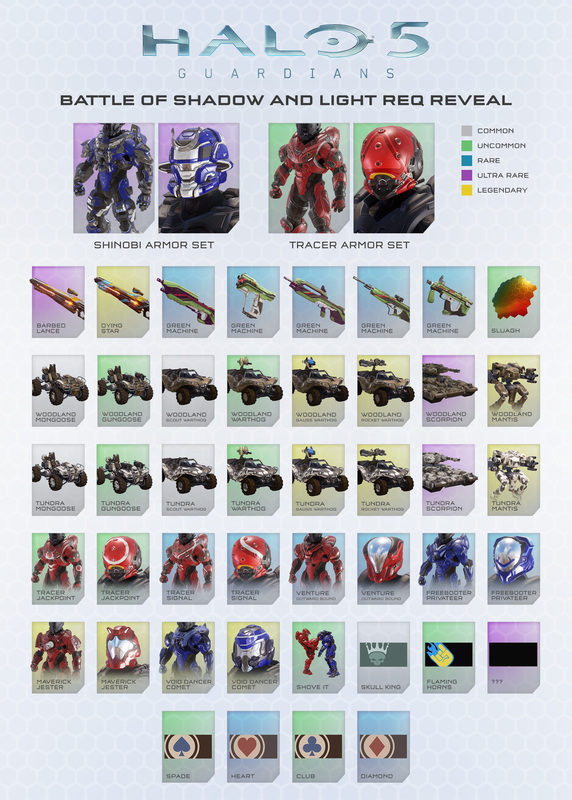 In the list of goodies we get with the special edition for Halo 5: Guardians are 14 REQ packs. But what are these REQ packs exactly? REQ packs are purchasable with in-game REQ points which you earn after completing a game of Warzone or Arena multiplayer. Get enough of these REQ points and you'll be able to redeem them for REQ packs. Since the special editions feature "A Warzone REQ bundle with 14 Premium Requisition packs" we can assume that there are different types of REQ packs you can purchase. REQ packs are also obtainable by leveling up your Spartan Rank and completing commendations. So what is within these REQ packs? 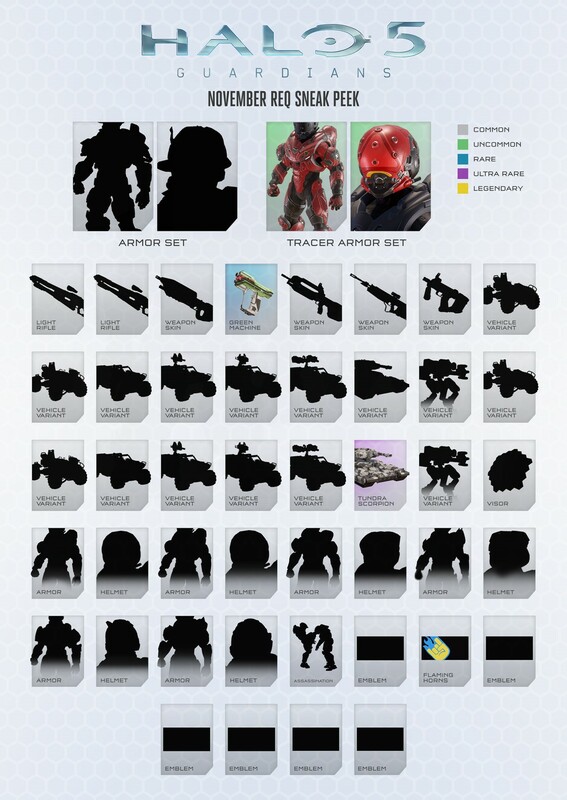 Each REQ pack has a variety of items. Including unlockable weapons, armors, skins, assassination animations and more. 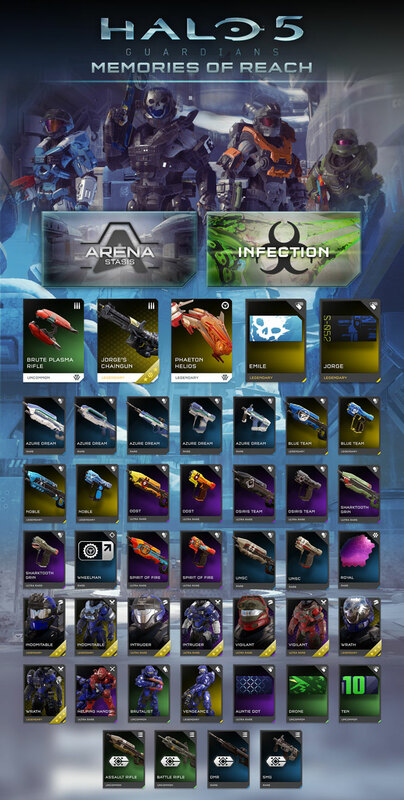 Be aware that only cosmetic items obtained from REQ packs are usable in the Arena portion of the multiplayer. 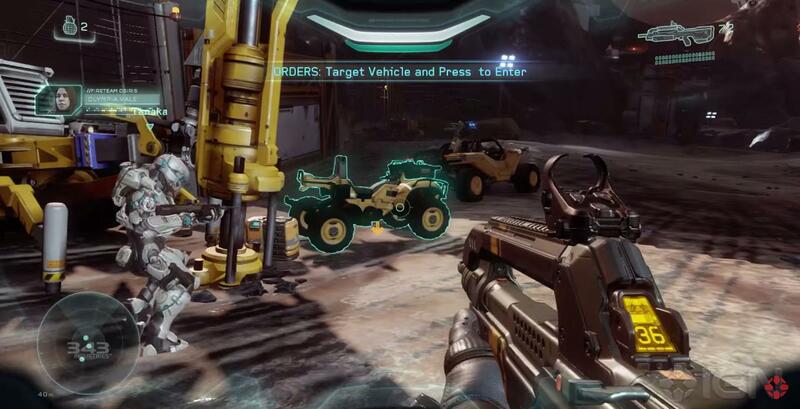 The weapon and vehicle cards shown in the E3 demo are restricted to Warzone. 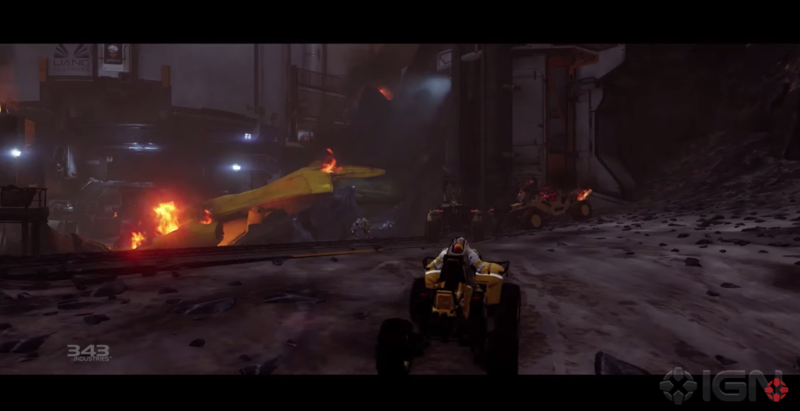 In Warzone you'll be allowed to take your weapons and vehicle cards from REQ stations. To ensure an equal start of the match the cards are restricted by Warzone's in-game REQ level which you can level up by completing feats in the Warzone match. So no starting out with a Mantis and stomping on your enemies just because you got lucky with your REQs. After the game's release 343i ensures us of new additions to the REQ packs so we'll always have something new to play around with. As a matter of convenience 343i will also make REQ packs purchasable from the Microsoft Store. A part of the income from these purchases will go to the Halo Championship Series' prize pool. Now I can hear you thinking "OMG MICROTRANSACTIONS NOOOOOOOOOO" but keep in mind that these REQ packs will not yield you anymore power on the battlefield. The weapons you'll be able to use in Warzone are still locked behind the in-game REQ level for balance sake. The only way these microtransactions are benefitial is if you don't really have the time to play Halo each and everyday but still want to keep up with some of the unlocks. Also remember that the Map Packs will be completely free. What do you think of this REQ pack system? This article will be based on the features shown, and not necessarily the story elements that were revealed. You can go to Greenskull's article here if you would like to read through the whole experience. The AI system is very similar to Left 4 Dead in which 3 AI teammates (the 3 other Spartans besides the Leaders in each Spartan Team: Fireteam Osiris, and Blue Team) will follow around the host until another player joins in. 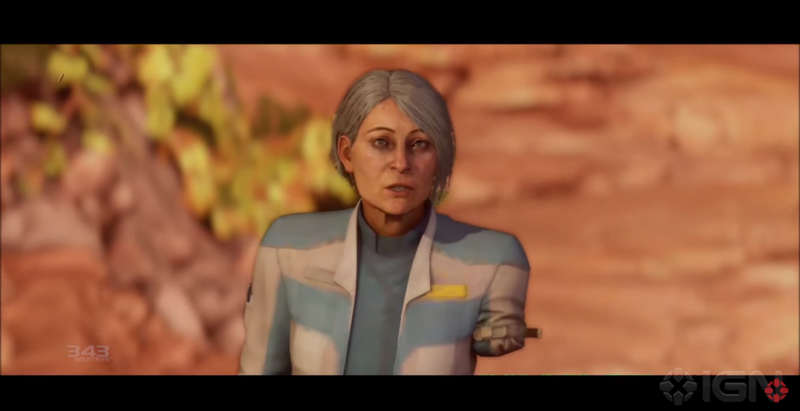 These AI companions will accompany the host throughout the entire game. Each of the 8 Spartan characters have unique HUDs, starting Loadouts, and of course voices & personalities. Chatter between the characters will be commonplace. 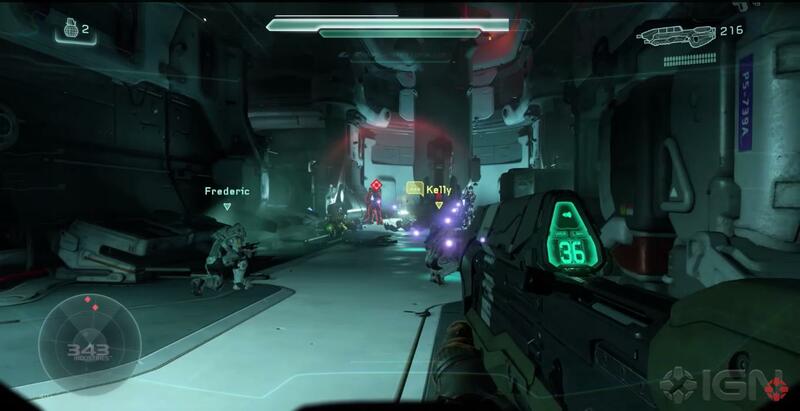 The player can use D-Pad commands to order around their Spartan Teams. Greenskull stated on the matter, "If you are looking at a weapon and press up on the D-Pad, a teammate will run over and pick it up. Point at an enemy and your team will focus fire on it. You can even direct them to cover..."
Similar to Borderlands, every player can be crippled or "downed". The player will crouch onto the ground, and will die if another player, or AI doesn't come in to revive them. The player will still respawn if they're in Online Coop, but if you die in Singleplayer you'll revert to a previous checkpoint. When downed you can press a button to notify everyone else to save you, and all it will take is the press of the "use" button (the button mapping will be different if you're using an alternate control scheme) by a teammate to get you back up. The time it takes to revive a player is around 2-3 seconds. Utilizes a "jump-in-drop-out system", which allows anyone to join in and leave without impacting the host's game too much. 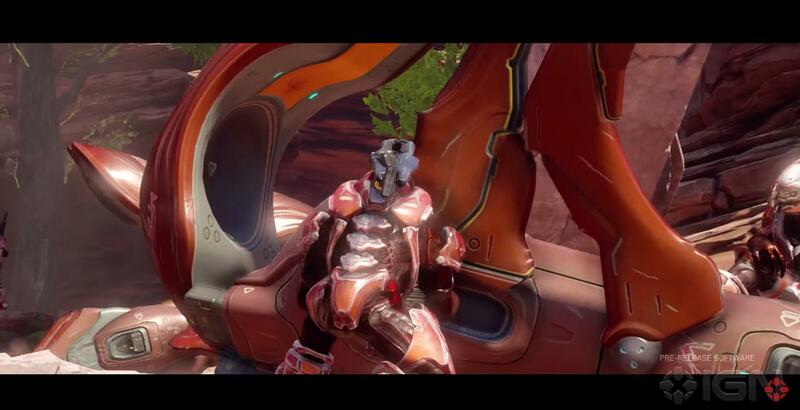 This means that Join In Progress is in Halo 5. Any new player joining the game can choose which character they want to be (Fred, Linda, Kelly - Tanaka, Vale, Buck). The original Host will ALWAYS be Chief or Locke. Both of the leader positions (Chief or Locke) have access to the D-Pad commands, while every other character doesn't. The commands are somewhat the same in Online Coop in comparison to Singleplayer. Continued from Greenskull's quote above, "With a team of human players, the party leader (Master Chief or Spartan Locke) can still perform these commands (the ones listed above in the Universal section) to help direct their teammates to locations, enemies, or hidden weapons." Lastly, difficulty will be scaled based on how many players are in the game. A mission played on Legendary with 4 players will be more difficult than a Solo run on Legendary. Prometheans are returning with a new type being introduced: The Promethean Solider (pictured in the image at the top of this article). 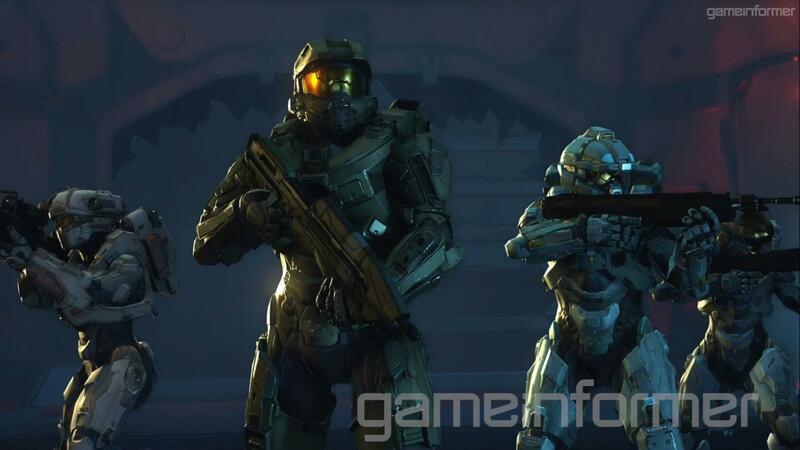 The only other information there is is that it moves fast, and is around the same size of a Spartan such as the Chief. 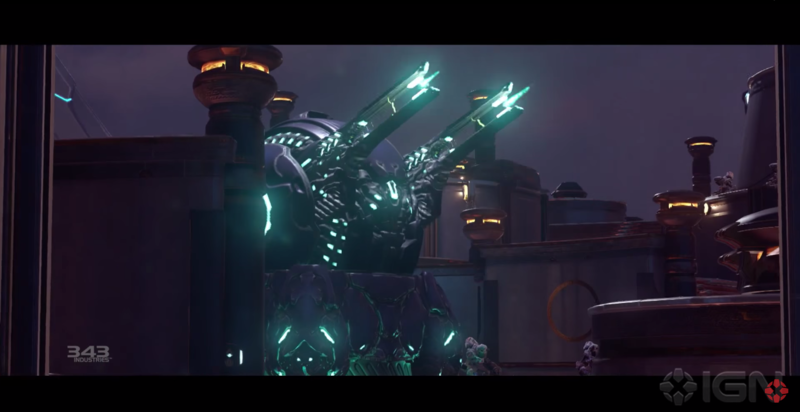 An ENORMOUS new enemy called a Guardian has been introduced, though Guardians have existed in Halo lore long before Halo 5, and it's currently unknown if these Guardians are connected to the old ones. Standing at 4,635 feet tall, the Guardian easily is the most massive enemy ever featured in a Halo game (the Gravemind is probably another good candidate). 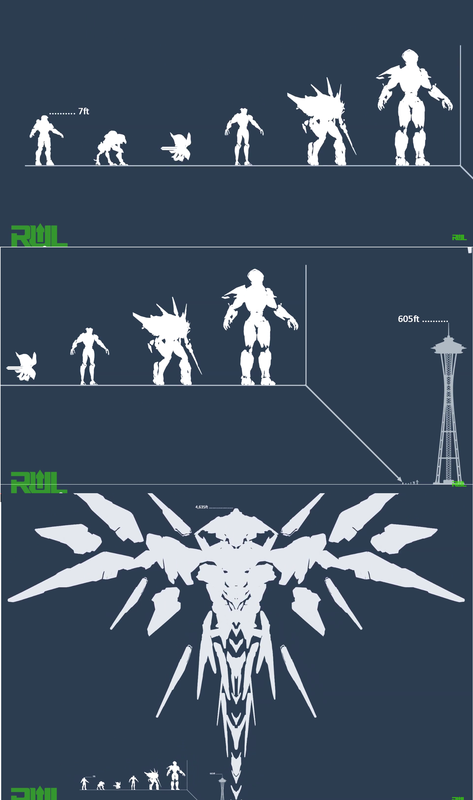 Here's an image from Greenkskull's video on Youtube based on scale. ALL Covenant enemies speak English due to Jul M'Dama's authority loosening. He originally banned the usage of English and other human language which is why the Covenant spoke their native languages in Halo 4. 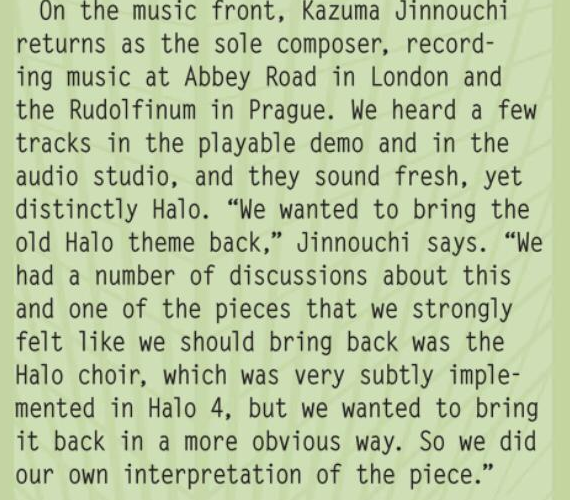 This comes from the Halo 5 Gameinformer issue that was recently revealed. The playtesters were shown a brief Campaign teaser, and Greenskull named the things he saw to the best of his ability, "It moved so fast it was hard to point anything out. That being said, what my eyes feasted upon was jaw dropping: massive enemies, space battles, and more. I saw Hunters forming from worms (Lekgolo) on the ground, Banshees flying past a space station, and a flying Forerunner vehicle shooting at a massive covenant station (it almost looked like a mining rig). ", he went on to say, "The scale was unlike anything we’ve seen in Halo, specifically the giant vehicle scene. There were vehicles flying around, Covenant shooting plasma through the air, and explosions illuminating the landscape. It was hard not to get excited." The maps have plenty of alternate routes, and passageways aside from the main path. The many nooks, and crannies also harbor secrets. Greenskull found a specific easter egg (a black alien skull looking thing) in Singleplayer, and confirmed that many other eggs are within the game. The reveal came with an absolutely HUGE amount of screenshots, and HD images, and you can see them all here. Halo 5: Guardians releases on October 27th of this year, and a full reveal of the game will be in Microsoft's press conference at E3. You can see the whole E3 schedule at IGN. The announcement came along with a series of descriptions about the issue, and a teaser trailer on YouTube. July's issue includes the demo of the second mission of the Campaign, a breakdown of the changes to Empire, a rundown of Fireteam Osiris, the reveal of an underwater map called Fathom, and a ton of other things. 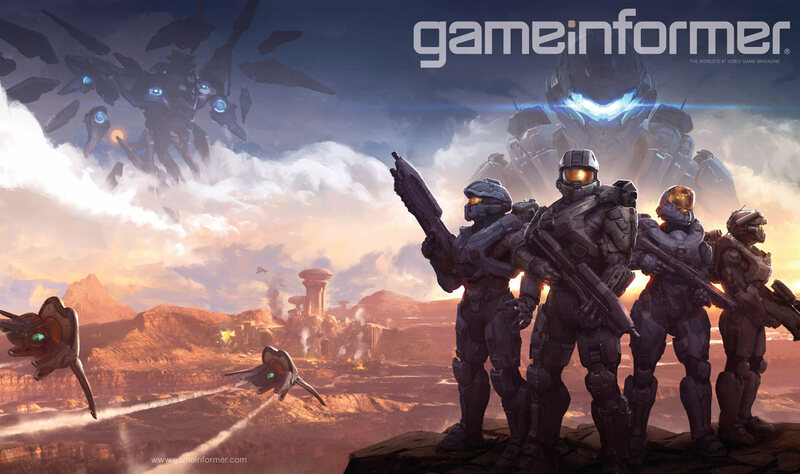 Head on over to Gameinformer.com to check out the full scoop. 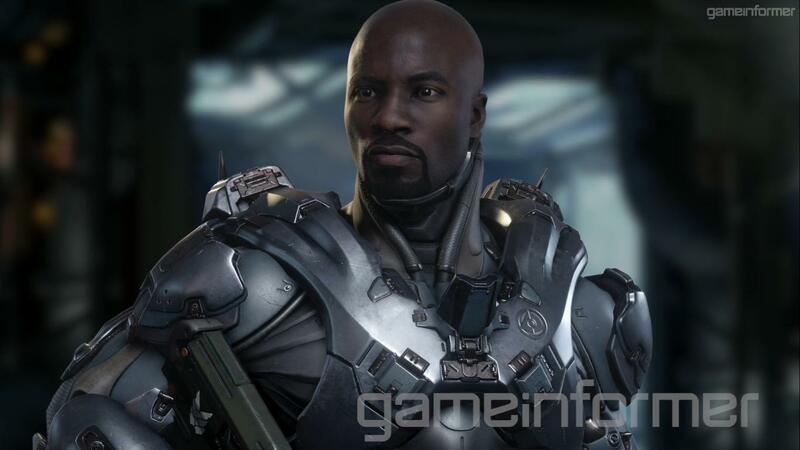 A new trailer is up for Halo 5: Guardians that depicts Agent Locke possibly looking to kill the Master Chief. No wait, not possibly, definitely! This came so far out of left field I don't even know where to begin. 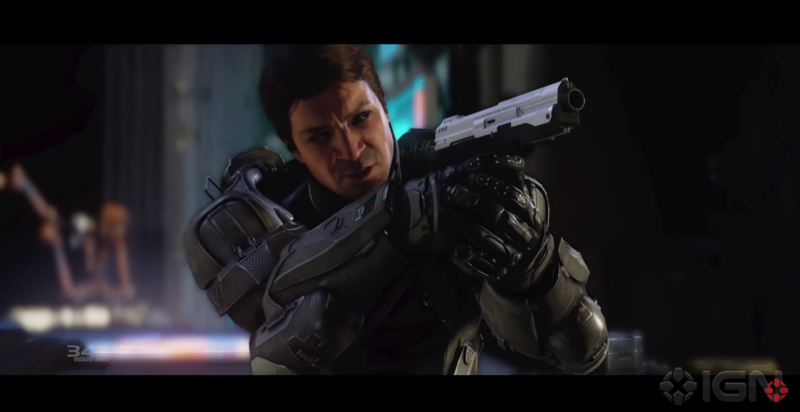 Xbox's YouTube.com channel released our Halo 5: Guardians trailer today, along with a new episode of Hunt the Truth. 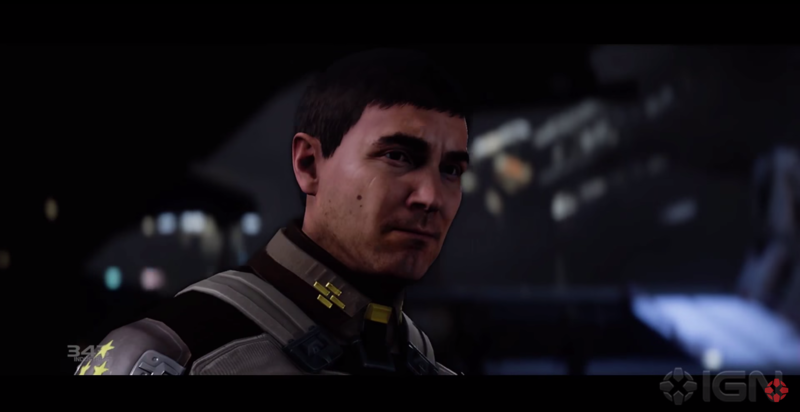 The trailer shows Locke with his DMR walking through a glassed colony world and confronting the Chief, standing battered and injured against a memorial in his name. Locke chastises and mocks Chief whilst preparing to kill him. He pulls out his pistol, and the trailer ends. This also reveals the release date, October 27th, 2015. As pointed out by Yoshi, the infinity sits in the background, looking a bit battered itself, and it seems this is the same location as a piece of concept art from a while ago. We will get more answers as to why Locke looks to kill Chief later on, but as of right now, Agent Locke sees Chief as a traitor, and he is on the hunt to kill him. What is your opinion on this trailer? 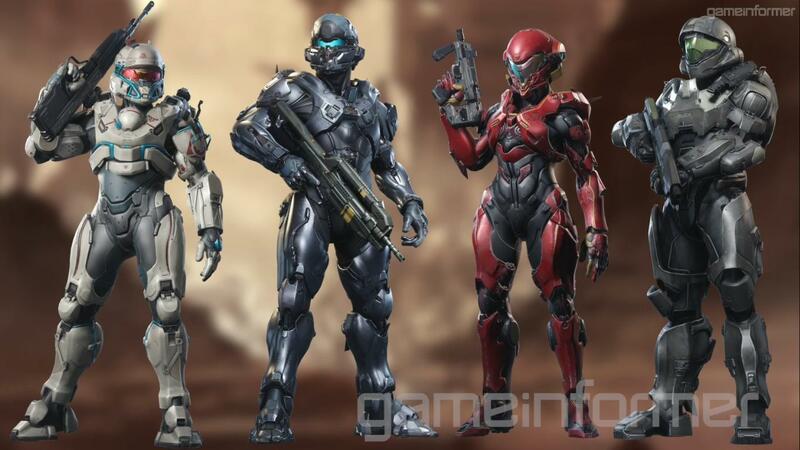 I am so pumped personally for October 27th, HALO 5 FTW. Comment below and give me your thoughts! Thanks for reading chaps! A new trailer was revealed showcasing what was behind the #HuntTheTruth ad campaign and further increasing our confusion and hype! Credits to Self Destruct, Church, and everyone else who helped mine this out as well as P34nut for the first article on Hunt the Truth. 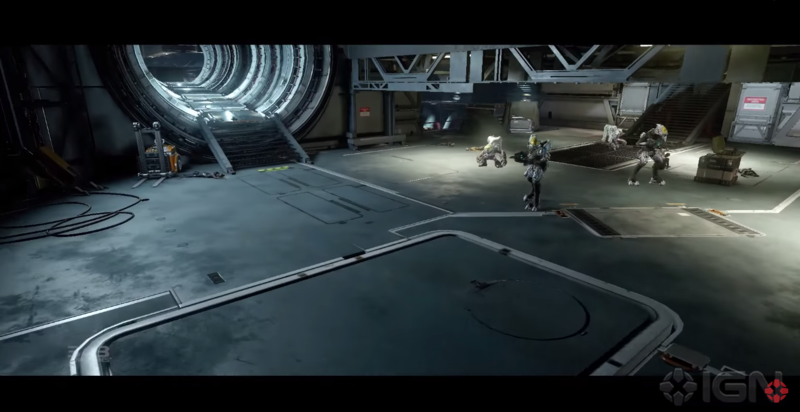 On the Tumblr.com link to Hunt the Truth, an ad campaign for Halo 5, people were able to fish out a 15 second video showing someone using a UNSC class Sniper with an oddly shaped penetration bullet to blow away Master Chief's visor and destroy his helmet. On the bullet, things are inscribed, but no one has deciphered them yet, though Church claims the word 'Truth' is on there, so it's possible that it says 'Hunt the Truth'. 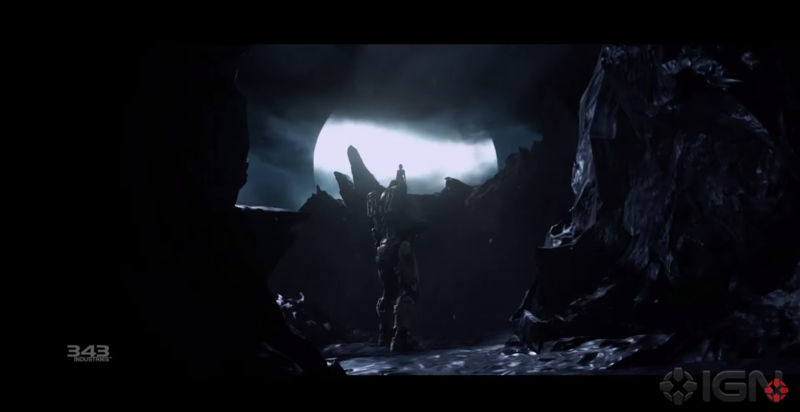 A tiny burst of the classic Halo monk chant plays ominously as it ends with an Xbox One logo. 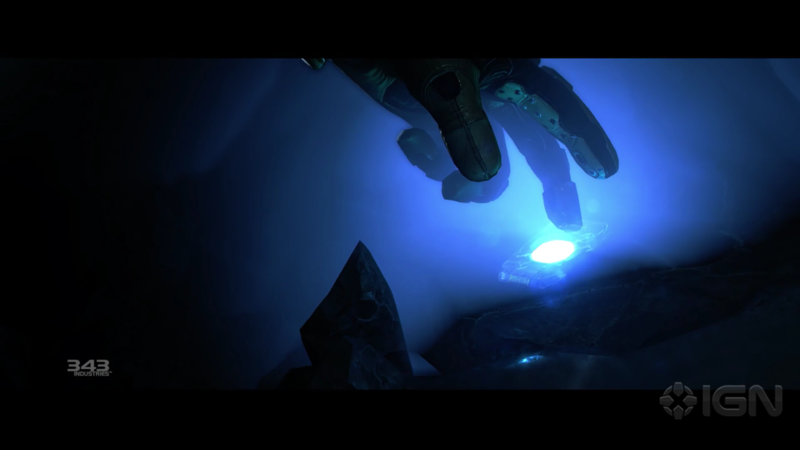 As far as who is betraying the Chief and attempting to kill him, we are currently unsure, but Locke and his squad (rumored: Buck, Romeo, and Macer) seem unlikely as Locke has stated his goal is to "find out what they are" in reference to his motives for leaving, and Buck and Romeo are both unlikely candidates for betrayal following the events of New Blood. 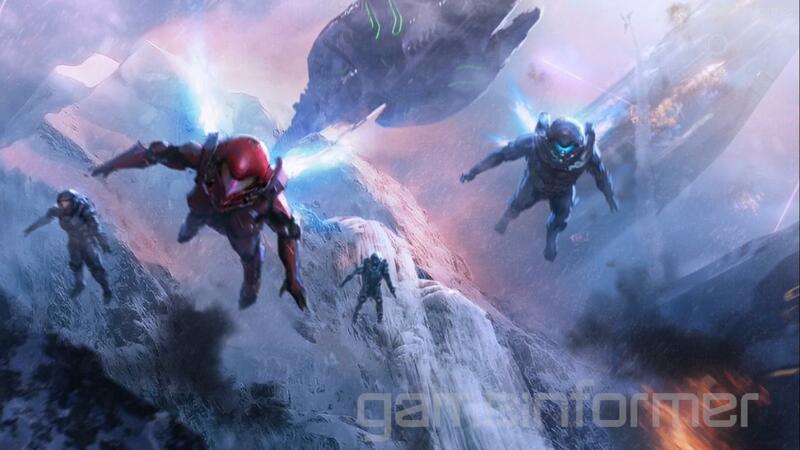 More details are likely to come in the future, but this is leading to a very interesting set of teases following the recent teaser of Locke jumping out of a Pelican on a sandy planet like the elite homeworld. This is really interesting so far, I'm excited to see where 343i takes this traitor storyline. With all these betrayals to the UNSC from previous operatives, I wonder what sort of Civil War will erupt from this. What do you think of this tease? What are your thoughts on the future? Lemme know below! Thanks for reading! 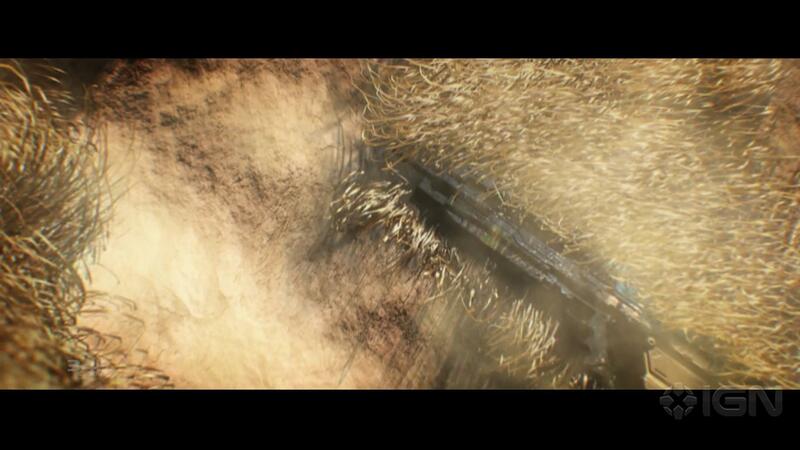 It has been rather quiet around Halo 5 news lately, the only thing we got the last month was a 2 second teaser trailer that was featured in an Xbox ad (more on the trailer can be found here). Now Frank O'Conner has tweeted a link to tumblr with the hashtags #Halo5 and #HUNTtheTRUTH. Now this isn't a countdown to the release date of Halo 5 like you'd expect since it's currently standing at about 2-3 days. What this countdown is counting down to is still unknown, but rumours are that it's a countdown to a huge reveal of something Halo 5 related and that it has something to do with Agent Locke hunting the Master Chief who may have been dubbed as traitor by the UNSC. Alas we won't know for sure untill it hits 0, which is up and around coming Sunday. What do you think this countdown is counting down to? People have gone around digging in the source code and found a image that was "supposed" to be on the background which shows nothing but a few blue dots, seems pointless right? So why would it be hidden? 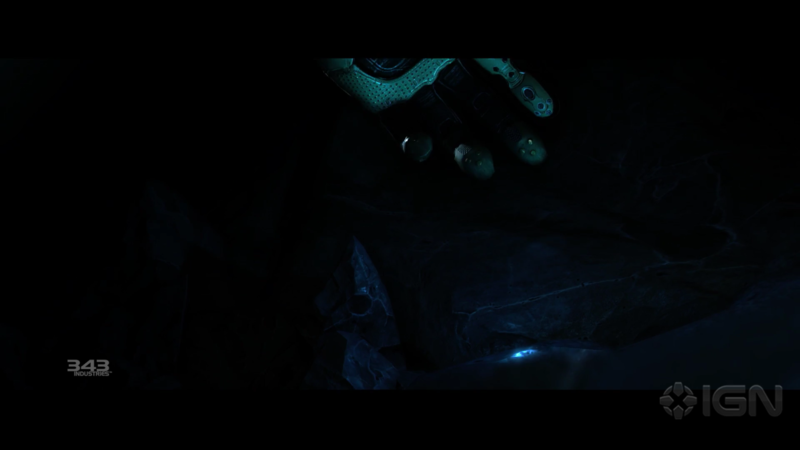 Upper left has the word "Demons" and lower right sais "gods" which is rumoured to be linked to the Gravemind as one of his lines in the games is "I have defied gods and demons". Is this a small hint towards the Flood?